Miriam and Glen had the most amazing weather for their mid-November nuptials at the Brooklyn Winery in Williamsburg. Sunny and warm...what else could you ask for!? 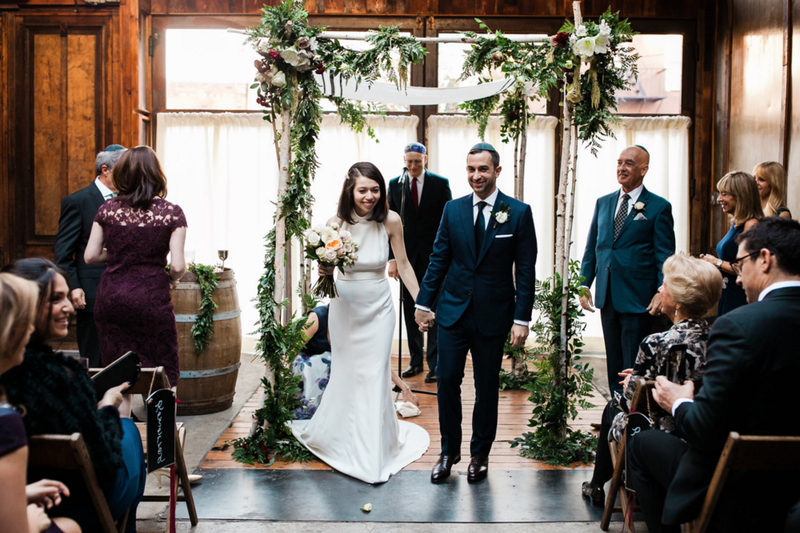 The wedding ceremony and reception took place at the Brooklyn Winery. 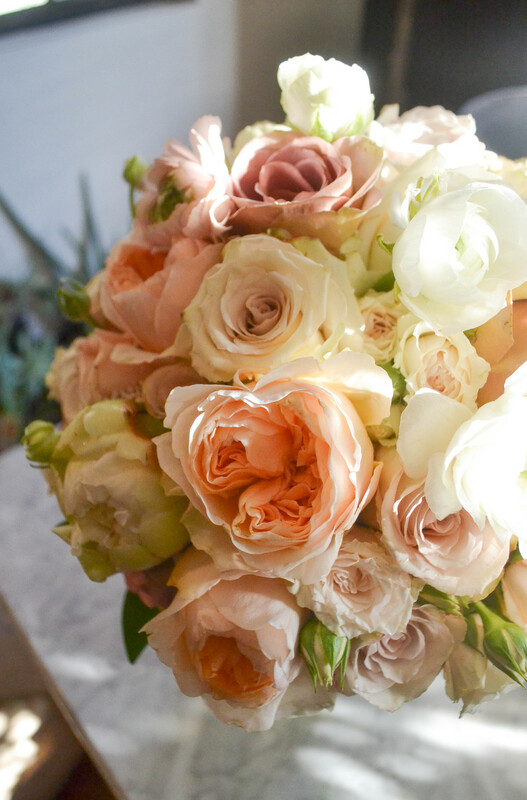 For the personal flowers we used a faded and pale palette of peach, pink and cream, using a mix of white peonies, ranunculus, sahara roses, quicksand and amnesia roses, among others. The couple chose lush green garlands, accented with pale toned flowers, filled the long reception tables. The Brooklyn Winery then added a hoard of their taper and votive candles to really give life to the tablescape. The lush garlands, candles and wine made for a very festive atmosphere! Also, check out the professional pictures by Tim Ryan Smith Photography!